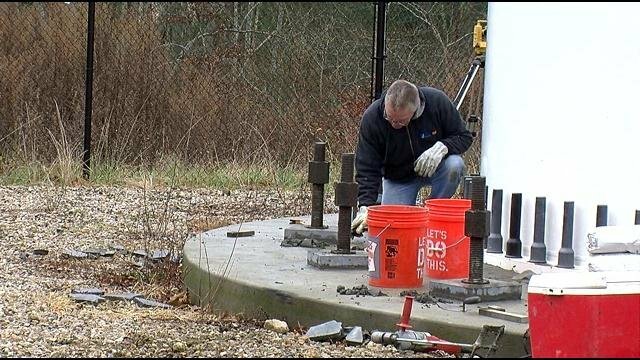 Mark Curtis, reporting for ABC6 News in Providence, got the story in Fairhaven, where a one-fifth of an inch subsidence is causing concern (“More problems at Fairhaven wind turbines; Builder promises fix” 12/2/13). Some believe the turbines were built on unstable wetlands. and will always be on unsafe ground. “I spoke to the developer and they say this is under warranty right now, and they are making sure the turbine is shut down. Everything is safe. They’ve guaranteed me of the safety,” said Fairhaven Board of Selectmen Chairman, Charles Murphy, Jr.